Animals Birds Central America Cuba Fauna Bird stamps from Cuba. 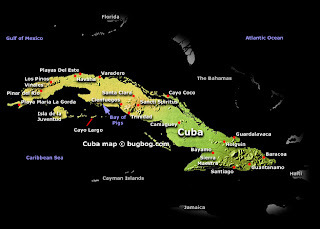 Cuba, officially the Republic of Cuba is an island country in the Caribbean. The nation of Cuba consists of the main island of Cuba, the Isla de la Juventud, and several archipelagos. Havana is the capital of Cuba and its largest city, followed by Santiago de Cuba. To the north of Cuba lies the United States (150 km or 93 mi away) and the Bahamas, Mexico is to the west, the Cayman Islands and Jamaica are to the south, and Haiti and the Dominican Republic are to the southeast. In 1492, Christopher Columbus landed on what is now the island of Cuba and claimed it for the Kingdom of Spain. 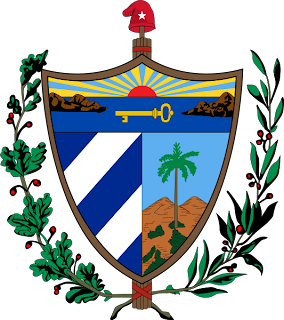 Cuba remained a colony of Spain until the Spanish–American War of 1898, after which it came briefly under the administration of the United States until gaining formal independence in 1902. Its fragile democracy became increasingly dominated by radical politics, and while the Cuban Constitution of 1940 sought to strengthen its democratic system, the country came under the dictatorship of former president Fulgencio Batista in 1952, who intensified already rampant corruption, political repression and crippling economic regulations. Growing unrest and instability led to the ousting of Batista in January 1959 by the July 26 movement, which afterward established a new administration under Fidel Castro. By 1965, the country had developed into a single-party state under the revived Communist Party of Cuba, which holds power to date. Cuba is the largest island in the Caribbean, and with over 11 million people, it is also the most populous, albeit with a much lower population density than most Caribbean nations. Its people, culture, and customs draw from diverse sources, such as the aboriginal Taíno and Ciboney peoples, the period of Spanish colonialism, the introduction of African slaves and its proximity to the United States. Cuba is a poor developing country but it still has both a high life expectancy and literacy rate. The country operates a national health system and assumes fiscal and administrative responsibility for the health care of all its citizens; the infant death rate is lower than some developed countries, and the average life expectancy at birth is 78 years. Cuba has a 99.8% literacy rate with free education at every level. According to the United Nations, Cuba was the only nation in the world in 2006 that met the World Wide Fund for Nature's definition of sustainable development, with an ecological footprint of less than 1.8 hectares per capita and a Human Development Index of over 0.8 for 2007.